Raw Summer Wildflower Honey – 1 Lb. Jar – Gridley Hollow Honey Co.
Our Raw Summer Wildflower Honey has a more liquid consistency, slightly coarser crystals than our Raw Fall Wildflower Honey with a milder flavor and aroma. 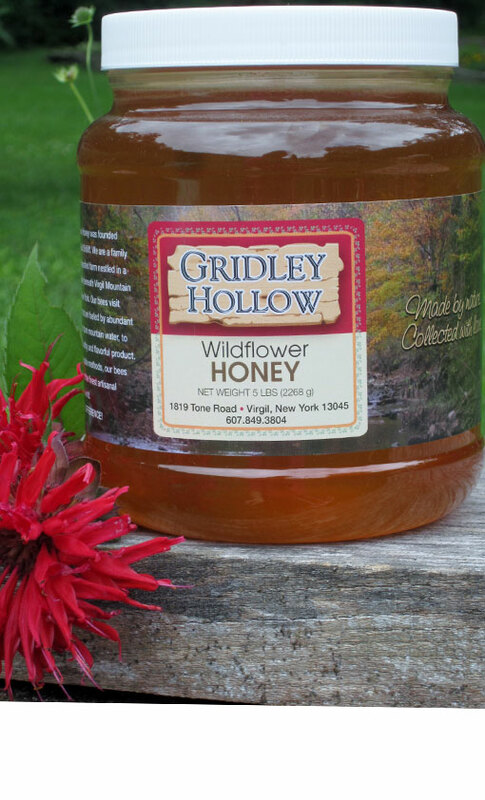 The floral sources are the same as our strained liquid summer wildflower honey. This product is NOT STRAINED and has NEVER BEEN HEATED. It contains small pieces of beeswax cappings, propolis and pollen. 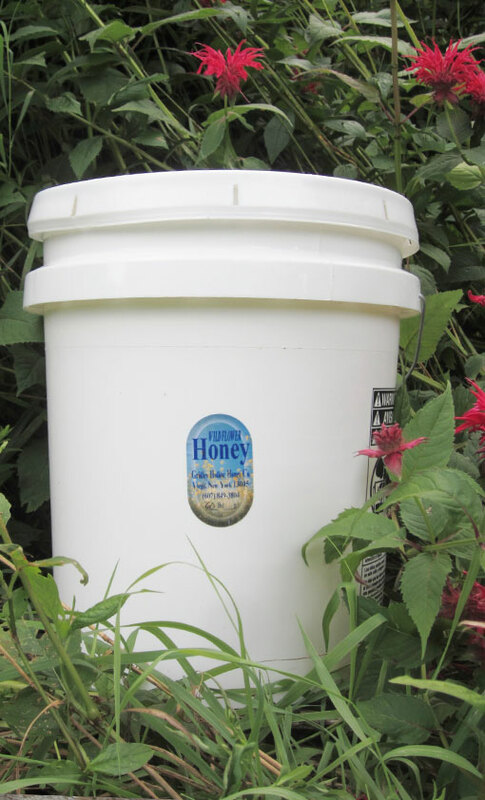 These hive products usually float to the top and can be consumed as is. It also contains natural raw enzymes created by the bees as they change the nectar into honey.